The FedEx 2018 annual meeting is September 24th. Vote AGAINST John A. Edwardson, Paul S. Walsh, Marvin R. Ellison, John C. (“Chris”) Inglis, Shirley Ann Jackson and Susan C. Schwabas, as well as the pay package. Vote FOR all three shareholder proposals. FedEx (FDX) FedEx Corporation provides transportation, e-commerce, and business services worldwide. The company’s FedEx Express segment offers shipping services for delivery of packages and freight. Reading through 90+ pages of the proxy takes too much time. Your vote will make only a small difference but could be crucial. Below, how I voted and why. I voted with the Board’s recommendations 44% of the time. View Proxy Statement via SEC’s EDGAR system (look for DEF 14A). From the Yahoo Finance profile: FedEx Corporation’s ISS Governance QualityScore as of September 1, 2018 is 4. The pillar scores are Audit: 2; Board: 5; Shareholder Rights: 4; Compensation: 7. Corporate governance scores courtesy of Institutional Shareholder Services (ISS). Scores indicate decile rank relative to index or region. A decile score of 1 indicates lower governance risk, while a 10 indicates higher governance risk. We need to pay close attention to Compensation and the Board. Egan-Jones Proxy Services recommends For all board nominees, except John A. Edwardson, Paul S. Walsh. E-J, who they believe have an inherent conflict of interest serving on key Board committees after than ten years as directors, since are no longer considered independent. Agreed. Since I also voted against the compensation package (see below) I also voted against the members of that committee: Paul S. Walsh (Chairman), Marvin R. Ellison, John C. (“Chris”) Inglis, Shirley Ann Jackson and Susan C. Schwab. FedEx 2018’s Summary Compensation Table shows the highest paid named executive officer (NEO) was Chairman and CEO Fredrick Smith at $16.7M. I’m using Yahoo! Finance to determine market cap ($68B) and I define large-cap as $10B, mid-cap as $2-10B, and small-cap as less than $2B. FedEx is a large-cap company. According to the Equilar Top 25 Executive Compensation Survey 2015, the median CEO compensation at large-cap corporations was $10.3M in 2014, so pay was over that amount. FedEx shares outperformed the S&P 500 over the most recent one, two, and five year time periods. The ratio of the annual total compensation of the CEO to the median of the annual total compensation of all employees was 333:1. Egan-Jones Proxy Services uses a proprietary rating compensation system to measures wealth creation in comparison to other companies. “Good” is their compensation rating for FedEx. They recommend a vote for the say-on-pay item. Vote AGAINST. When I vote against a pay package I also vote against members of the compensation committee, since they recommended the package: Paul S. Walsh (Chairman), Marvin R. Ellison, John C. (“Chris”) Inglis, Shirley Ann Jackson and Susan C. Schwab. I have no reason to believe the auditor engaged in poor accounting practices or has a conflict of interest. Egan-Jones recommends voting against the auditor if they served for seven years. Independence becomes compromised by that time. The FedEx auditor served more than seven years. No other issues appear significant. This proposal from the Teamsters and Clean Yield is similar to many of my proposals on the same subject. E-J views implementation as an unnecessary expense. Last year, as similar proposal won 25%. I hope it fares better this year. The US Supreme Court’s decision in Citizens United v. Federal Election Commission is based on a false premise. Justice Kennedy’s majority opinion justifies the decision by pointing to the Internet. And the Court expressed enthusiasm that technology today makes disclosure “rapid and informative.” Yet, corporations are not required to disclosure lobbying expenditures and political contributions to shareowners as Justice Kennedy believed. Vote FOR. E-J’s policy is to support the ability to take action by written consent of holders of outstanding stock having not less than the minimum number of votes that would be necessary to authorize or take such action at a meeting. This proposal meets that criteria. I wrote it for my wife, Myra K. Young. Of course I voted FOR. Similar proposals won 67% support at both Allstate and Sprint. It won 51% support at the 2010 FDX AGM. Last year the topic won majority votes at Western Union, Ryder System, and BorgWarner Inc. Last year the topic also won votes higher than 44% at Cognizant, EMCOR Group, eBay, Gilead Sciences, Nasdaq, Capital One Financial, and AT&T. Proponent John Chevedden argues such shareholder oversight is warranted at FedEx because 5 FedEx directors each had 15 to 47 years long-tenure. Long-tenure can impair the independence of a director no matter how well qualified. And independence is an all-important qualification for a Director. 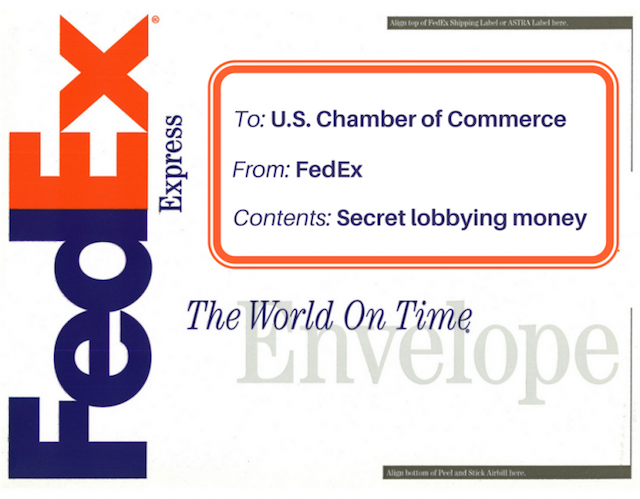 And these long-tenured directors controlled 40% of the FedEx Audit Committee and Executive Pay Committee. Proxy Insight reported the votes of Australia’s Super, Calvert. and Trillium. Teachers voted for all items, including my shareholder proposal. Australia’s Super voted FOR or abstained on all items. Calvert voted against Walsh, executive pay and proposal 6. Trillium voted against all directors, executive pay and proposal 6. They voted for ratify auditors, report lobbying and written consent. Directors: AGAINST John A. Edwardson, Paul S. Walsh, Marvin R. Ellison, John C. (“Chris”) Inglis, Shirley Ann Jackson and Susan C. Schwabas. No action can be taken without a meeting by written consent. Voting in favor of Proposal #5 would cure. Proxy access ‘lite’ provision whereby a group of no more than 20 stockholders holding at least 3% of the outstanding common stock continuously for at least three (3) years may nominate 2 directors or 20% of the board. Special meetings can only be called by shareholders holding not less than 20% of the voting power, instead of 15%. Stockholder proposals (other than director nominations) intended to be presented at FedEx’s 2019 annual meeting must be received by FedEx no later than April 15, 2019, to be eligible for inclusion in FedEx’s proxy statement and form of proxy for next year’s meeting. 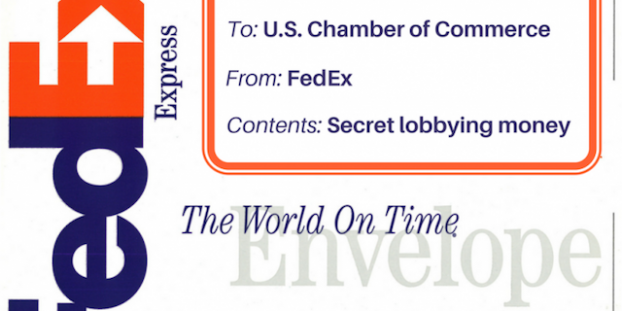 Proposals should be addressed to FedEx Corporation, Attention: Corporate Secretary, 942 South Shady Grove Road, Memphis, Tennessee 38120.